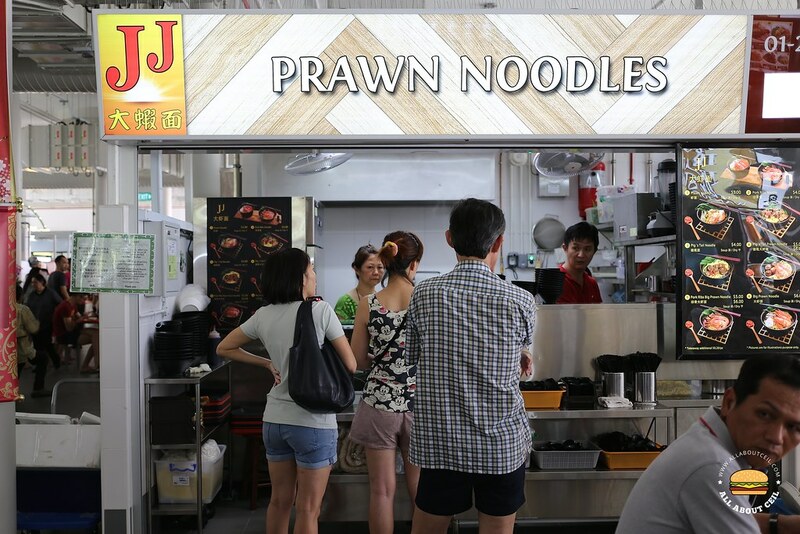 I ordered the smaller portion of Pork Ribs Big Prawns Noodle for $5.00, the larger portion is at $6.00. 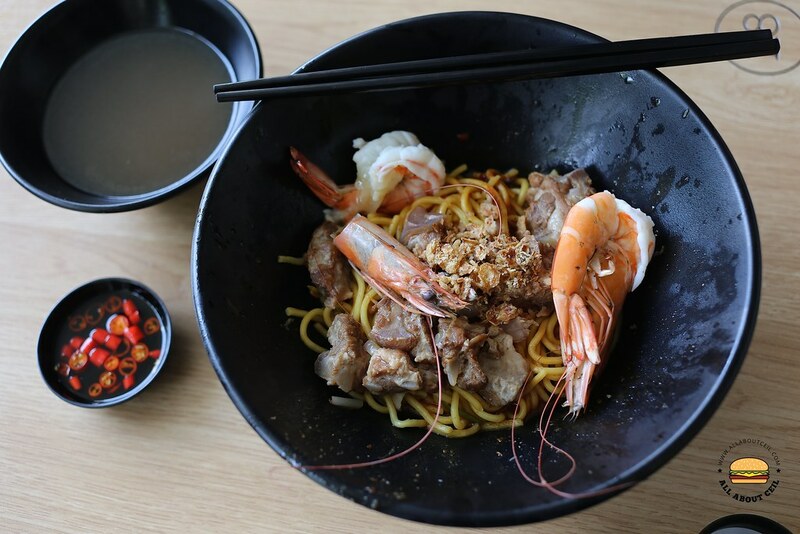 It consists of a good portion of yellow noodles with 2 medium-sized prawns and a few small pieces of pork ribs, garnished with fried shallots before serving. The prawns tasted relatively fresh, they actually made an effort to devein the prawns and removed the shell of the center part, leaving the tail and head on. 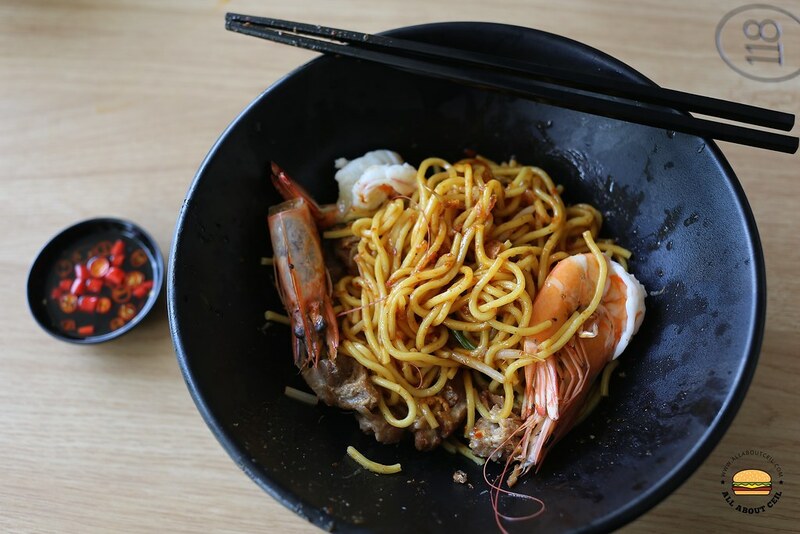 The level of spiciness of the chili is not to be underestimated but it added flavor to the noodles.